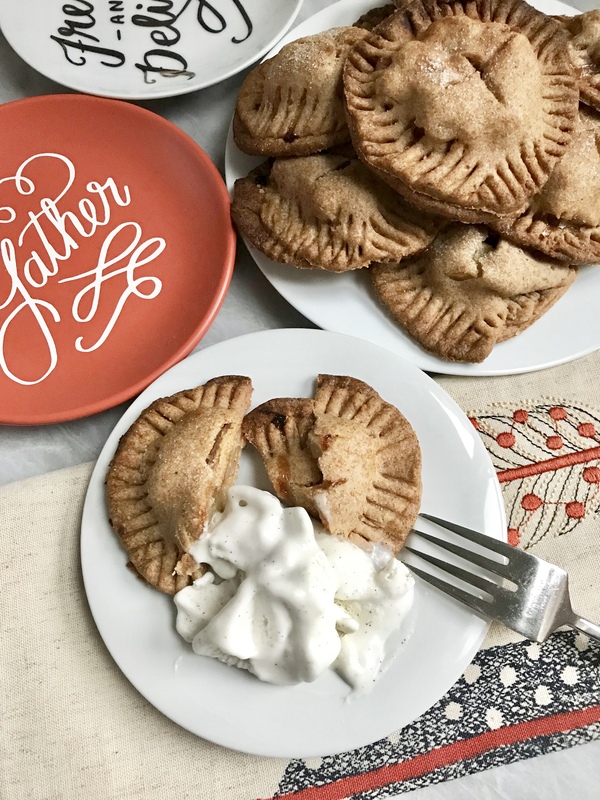 Personalize your holiday season this year and serve this delicious apple hand pies! 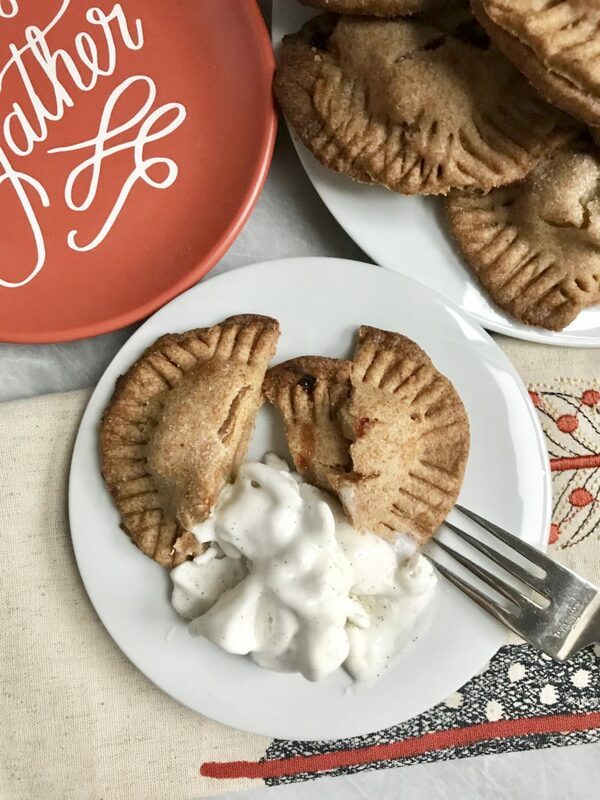 With Thanksgiving around the corner, I wanted to create a really great dessert recipe to serve! I already have a pumpkin pie recipe as well as apple pie crescent rolls, but wanted to add to my holiday recipe list. These are so delicious and perfect to serve as everyone gets their own! These are quite easy to make, and if since you probably have better baking skills than me…they will come out prettier than mine! I genuinely am not a baker, and don’t usually post dessert recipes because they’re always a bit more complex to me. However, I nailed this recipe and I am super proud of how it came out! I decided to make these using spelt flour, however any flour would work for these! 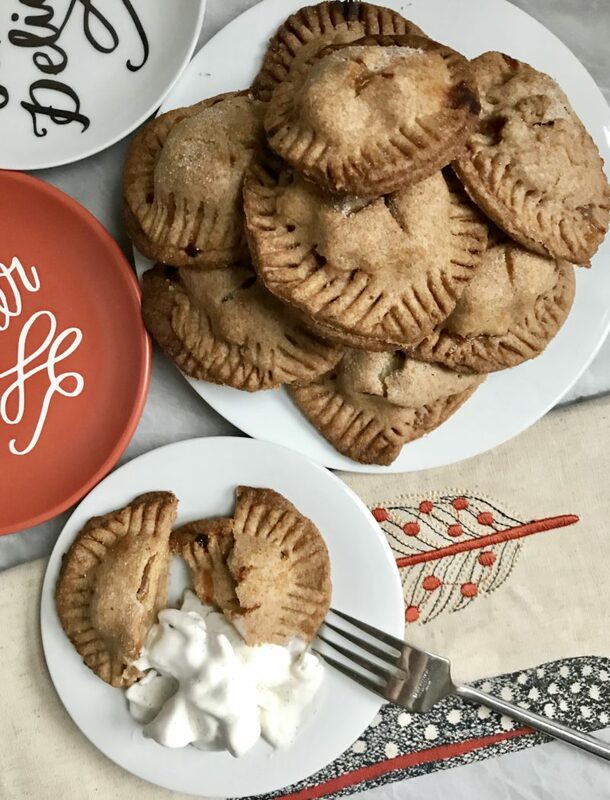 Serve up these delicious hand pies with some vanilla ice cream. My favorite Vegan ice cream is by nadamoo. It’s a family owned business and made from coconut milk! I buy mine from Whole Foods! I hope that you enjoy! If you make these, tag me on Instagram so I can see! In a bowl combine your flour, salt and sugar. Mix to combine. Add in your butter and mix with a wooden spoon (or hands) until it becomes crumbly. Add in 1/4 of water and mix with your hands to create a dough. Add more water as needed - one tablespoon at a time. You want to make sure the dough isn't dry but also not too wet. Flour your surface and add your dough. Roll it into a circle and divide the circle into two discs. Wrap with saran and put in the fridge for an hour. Meanwhile, core & peel your apples. Chop them up and add them to a bowl with all of your remaining filling ingredients. Set aside. Roll out your dough, only using one disc at a time. Flour your surface and roll your dough around 1/8-inch thickness. Using a cookie cutter, cut out as many circles as you can. I don't have a cooker cutter and actually used the top of the 1/2 cup measuring cup. It worked just as well! If you do have a cookie cutter, make sure it's 3 inches. Re-roll the scraps of dough and repeat until all is used up. Transfer half of the cut out circles to a baking sheet lined with parchment paper. Brush your plant milk around the edges and add one heaping tablespoon of your apple mix. Use the remaining circles as your toppings. Crimp them with a fork around the edges. Cut a small x-shaped slit on top of your hand pies to let the steam escape while baking. Bake for 15 minutes or until the dough is golden brown and the apples and bubbling. Take out of oven and let sit until cooled completely.